The Failsforce blimp floats by the Salesforce tower. 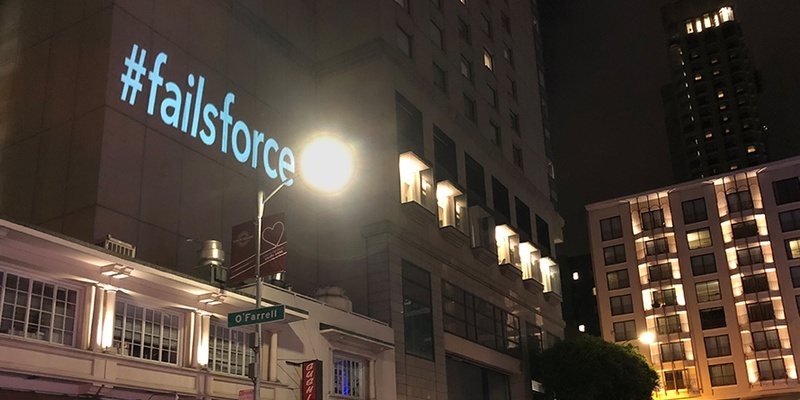 Tech companies in San Francisco are no strangers to controversy, and Salesforce was met with two different ones at Dreamforce, the company’s annual conference. 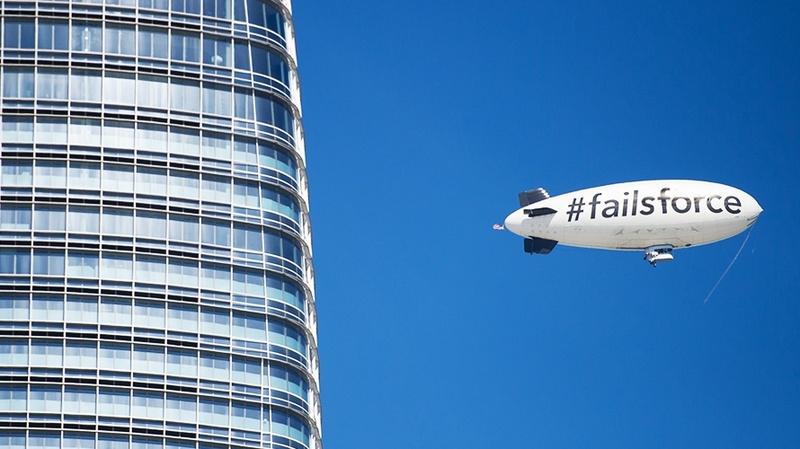 On Sept. 25, the first day of the conference, attendees could look up to the sky and see a “#Failsforce” branded blimp floating above them. On the ground, a makeshift 14-foot tall detention center created by Fight for the Future, Mijente, and other groups greeted attendees at the entrance of the conference to protest Salesforce’s contract with U.S. Customs and Border Protection (CBP), announced earlier this year in March. The protesters want Salesforce “to stop providing an operational backbone for U.S. Border Patrol’s activities,” Fight for the Future stated in a press release. Meanwhile, during Dreamforce’s opening keynote, Salesforce co-CEO and founder Marc Benioff spoke about the “fourth industrial revolution” and the importance of company values. As he spoke, the #Failsforce blimp floated in the San Francisco sky. 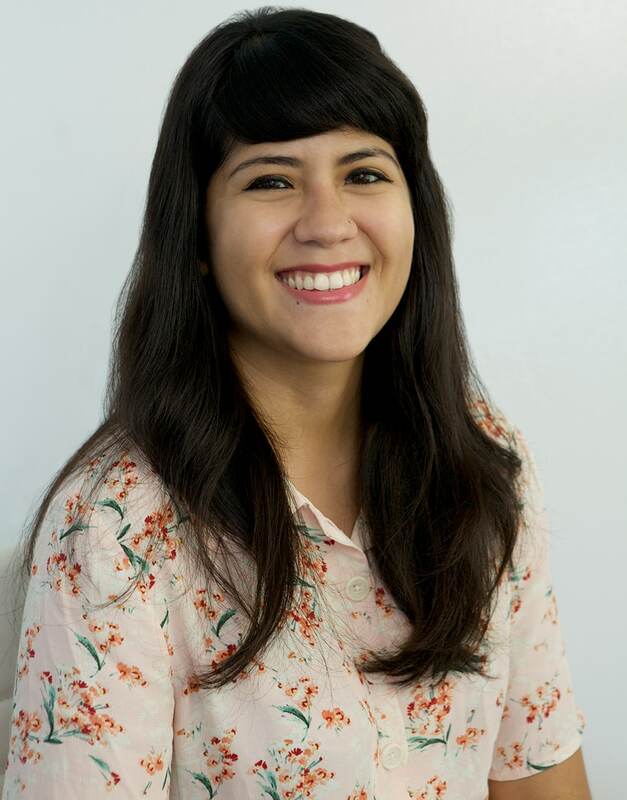 Created by Salesforce competitor Freshworks, creative agency Funworks and marketing agency GroundSwell Group, the blimp was intended to make a point that companies can use other customer relationship management solutions. The company floated the blimp over the conference for three days and included an on-the-ground activation offering attendees juice and smoothies, as well as free yoga, barre and fitness classes. David Thompson, CMO of Freshworks, shared that the blimp is part of a larger marketing campaign called “Hit Refresh” rolled out online, on radio and across social platforms. Noel Wax, president and co-founder, Groundswell Group, and Charney said the initial reaction from attendees has been positive surprise. Someone has even created a Twitter account co-opting the personality of the blimp (Freshworks, Funworks and Groundswell have all denied any involvement in the account creation). 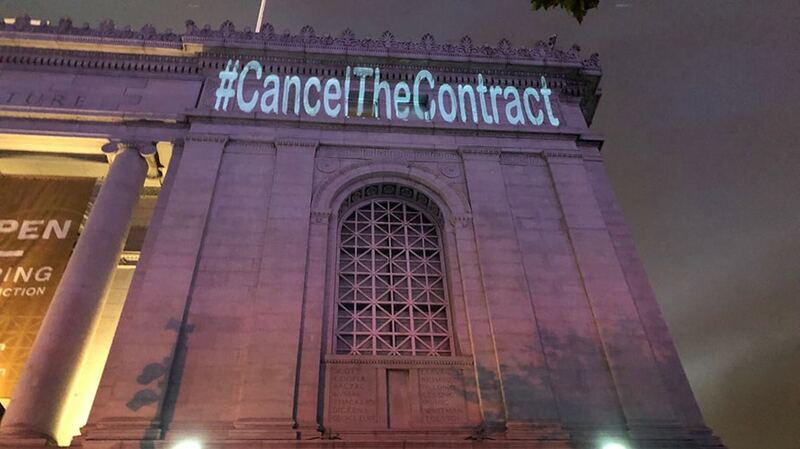 After an alleged agreement between the protesters and Salesforce, where company executives said they’d meet with the protesters, the group stopped projecting #CancelTheContract. Adweek has reached out to both Salesforce and Fight for the Future and will update with any responses.